How is the date of Easter calculated? - When is Easter 2019? Easter is a "movable feast", which means that its date is not fixed in the calendar. The date is calculated according to the Lunar Calendar. In Christian Religion the Easter is celebrated on the first Sunday following the first Spring Full Moon. Even though Spring Equinox can astronomically fall on different day each year, to simplify the calculation of Easter, the Spring is officialy set to begin on March 21st. 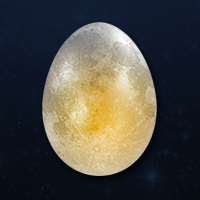 If the first Spring Full Moon falls on Sunday, then the Easter will fall on the following Sunday.